Welcome to this month’s installment of Dear Urbaneer, where our clients put our real estate knowledge to the test with some of their housing questions. This month, we help one of our clients compare and contrast an element that has become an integral part of the Toronto property landscape over the past three decades: the loft. We love the aesthetic appeal, unique design, and open concept space plans that lofts provide. In our search, we’re discovering that not all lofts are equal, often defined by the terms 'hard loft' and 'soft loft'? What are the factors of this market, and which kinds of lofts are more desirable? Traditionally, the original loft spaces were created by converting existing factory buildings into residential or live/work use. Essentially, the adaptive reuse of a structure - typically one constructed last century for commercial or industrial production, and built of brick and wood beam timbers or poured concrete - represents the historical roots of the loft market. Featuring open spaces with soaring ceilings and large factory windows, sweeping volumes provided a lofty quality to the units (hence the name) with more light and air flowing freely. The phenomenon began in New York and Paris, arriving in Toronto in the 1980s with the conversion of a handful of small factory buildings in residential neighbourhoods in the central core of the city. 'Hard loft' spaces like this remain rare today, as there are only around 60 converted buildings, housing anywhere from a handful to several hundred units. As demand for innovative spaces grew, developers in the 1990s began constructing condominium 'lofts'. Incorporating high ceilings and large windows - to varying degrees of success - developers eagerly commodified the loft aesthetic, which has resulted in the creation of 60 'soft loft' condominiums, thus far. Being newly constructed, these buildings do not have the vintage qualities of the original loft conversions, but for those who gravitate toward a clean-lined minimalist aesthetic, they offer their own opportunities for modern living. In considering what a hard loft is versus a soft loft, it is interesting to consider the relationship that owners have with their 'homes', as the loft space seems to serve a particular purpose in that regard. Lofts originally were a haven for artists and creative souls, in part because of the way in which they permit the flow of light and air and are amenable to creative tasks, but also because they represent the non-conformist identity. They represent a unique opportunity for self-expression, both within the space and because of the space. Lofts also have a uniquely urban vibe, being primarily situated in once-industrial areas that might have been considered 'fringe'. This was immensely appealing to a cross-section of demographics who did not consider themselves traditionalists. Surveying the residents of Toronto's first 250 lofts to determine who they were, what they did, and their psychographic profiles, I discovered that around one third of the respondents living in these buildings (situated in what were considered to be marginal locations at the time) could be classified as Artists engaged in photography, sculpture, and painting; another third were creative professionals operating in the fields of media, design ,and fashion, and the final third were white collar professionals occupied in health care, finance, and technology. To my surprise, the points of view by which each of these groups reconciled their living environments were surprisingly different. I discovered the Artists living in their lofts were less invested in the appearance of their homes, and much more concerned with the spatial capacity to create their art. Their spaces were less adorned, fitted in basic finishes, and in habitable condition (think: concrete floors, a simple laminate kitchen, and a white 3-piece bath). Whereas their art was the vehicle for self-expression, the space was about utility and function. It was the mirror opposite for the second third of my research, who were the creative professionals. This segment of owners were highly absorbed and engaged in their ability to design and modify the space to reflect who they were creatively. This group invested a significant portion of their time, income, and skills in customizing their lofts to reflect their identity. Their one-of-a-kind lofts (think: chef's kitchens featuring a Garland gas range, floating mezzanine bedrooms, and glass block washrooms) were physical incubators of progressive, liberated self-expression; their homes were their personal masterpieces. The white collar professionals, who appreciated high design, shared a commitment to self-expression similar to the creative professionals. However, lacking the skills to create it, they preferred to purchase their lofts ready-made and demonstrate their identity through its contents. They either hired designers to create their mise-en-scene or they shopped for the latest objets and contemporary art (think: high-end electronic media equipment, pool tables, humidors, and framed cell animation) to serve as status-markers and to showcase their cultivated commitment to trends and styles. This group chose loft living to symbolize both their subscription to modern living and their rejection of traditional housing forms. The more affluent the occupant, the more likely their loft was of a quality and calibre worthy of a magazine feature. These market segments - the framework for the original 'loft lifestyle' - underscores how individual a property search can be today, and how the same space can afford not only different purposes, but different meanings. Here is an informative past post on how to construct your own property matrix when on the house hunt: How To Search For Your Next Property Purchase. So - how do you spot the differences between hard and soft lofts in order to slide their criteria into your matrix? Read on! The hard loft is essentially the original, authentic loft, achieved through the conversion of commercial or industrial space. One key definer (aside from super-high ceilings, far taller than other types of residences) is the presence of specific building materials that lend the space a bit of industrial 'grit'. Elements like exposed brick walls, exposed ductwork, wooden beams and posts, and original hardwood flooring are tell-tale features. (The photos above are of my own loft in The Button Factory). The other identifier is how a hard loft’s layout and design elements all combine to amplify the overall sense of space. It’s amazing how height, as opposed to width, directly increases the perception of available space. Drawing the eye up, and opening space to the potential of light and air, creates a pleasant illusion that enhances comfort and livability. There are a few potential drawbacks to the hard loft. First, typically, the age of the buildings hinder energy efficiency, which is a problem compounded by the high ceilings; there is a lot of extra space to heat and cool, and, when the lofts are two stories, air circulation and comfort can be inconsistent. Hard lofts can also be challenged in terms of sound separation, since the brick and wood beam construction has multiple gaps that allow for noise transmission. Furthermore, hard lofts tend not to have outdoor living space - like a balcony or garden - with the exception of some of the smaller complexes. And, being factories, their locations can sometimes be marginal, while at other times they're in the very heart of the downtown core. Keep in mind that the city's own cycle of gentrification has seen areas like The Fashion District and Liberty Village transition from 'edge' to 'chic' relatively quickly. Really, it comes down to what it is on the top of your housing wish list. Through the 1990s and 00's, I was engaged in the concept, sales, and marketing of several adaptive reuse conversions in the City of Toronto - including The Button Factory at 200 Clinton, The Banquet Hall at 62 Claremont, The Wellington Worx Building at 436 Wellington, the Baseball Globe Factory at One Columbus, and The Movie House at 394 Euclid. Most of these hard lofts are in century-old buildings and were developed at a time where customization was part of the development program. In addition to their unique qualities, hard lofts are highly-desirable, in part because of their 'grit' and undeniable aesthetic appeal, but also because of the simple fact that they are in short supply. A soft loft embraces many of the same design qualities that a hard loft does (e.g. high ceilings, wide open space plan, decidedly urban finishes like exposed concrete floors and walls, and expansive floor-to-ceiling windows), but are new condominium constructs. Be careful: you may see design elements like exposed brickwork or ductwork, but those are contrived features used to imitate the hard loft aesthetic, and are not original by-products of function. From a design perspective, a soft loft is essentially fashioned to mimic many of the desirable qualities of the hard loft. Although imitation is the sincerest form of flattery, admittedly, soft lofts may lack some of the character and ambience provided by the unique design elements of the hard loft; by virtue of their young age and their intended purpose at time of construction, they lack the history and authenticity of a hard loft. That said, there is no question that the soft loft offers a wonderful relationship with space, and is well-suited to those who like a pared down, minimalist look. 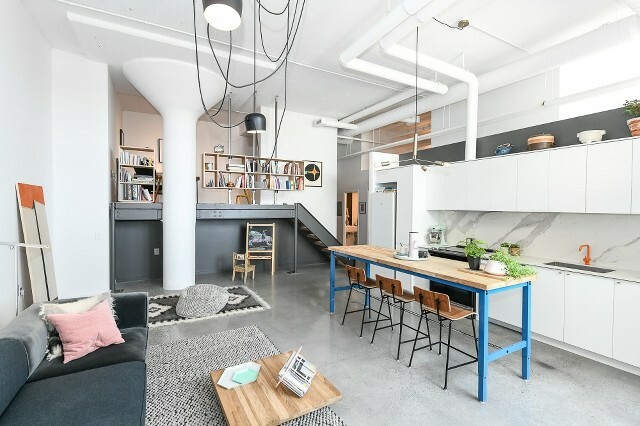 One big bonus of the soft loft is that they typically offer a number of sought-after amenities in the building, whereas hard lofts tend to be thin in the amenity department. 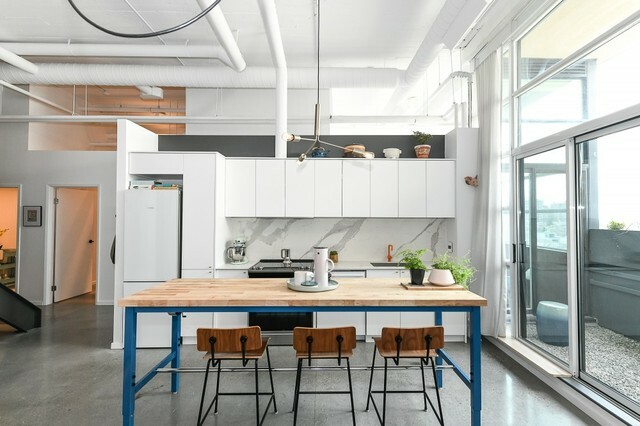 After all, soft lofts are constructed to meet the design tastes of those who favour loft space, but also to meet today's expectation of onsite amenities that enhance quality of life through convenience. For example, you're more likely to find a soft loft with underground parking and deeded lockers, or a state-of-the-art fitness facility. The construction of soft lofts also created more product with second-storey mezzanines. Typically, the main floor contains the common living spaces, while the second floor has a bedroom(s) overlooking the area below. This configuration allows owners to still benefit from a portion of two-storey vaulted ceilings. Developers also frequently offer private outdoor spaces as part of their construction program, so you're more likely to see a soft loft with a balcony or terrace. One further point to consider with soft versus hard lofts is location. Because the growth of the soft loft marketplace has occurred in the past 20 years, they're situated in areas that are more central and, frankly, in areas where factories never existed. 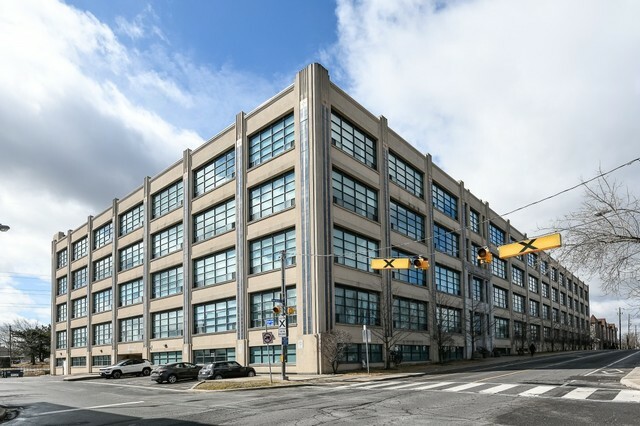 You'll find significantly more soft lofts north of Bloor than you will hard loft conversions, as the centres of industry and production in Toronto were closer to Lake Ontario and the rail corridor. Newer soft lofts can be found at Yonge & Eglinton and in The Beach, for example, meaning there's more neighbourhood choice with this architectural style. However, with the proliferation of construction, you also run the risk of having a 'loft' which is more ubiquitous and potentially contrived. A word to the wise in your loft hunt: it’s becoming increasingly common for developers to use the 'loft' moniker as a marketing tool. While these units do incorporate some of the design elements, a space with 9-foot ceilings and a bit of exposed concrete or reclaimed brick does not make it a loft. For me, a soft or hard loft is all about ceiling heights of at least 10 feet high, architectural elements that celebrate natural materials (whether that be wood, brick, or exposed concrete), and design elements that are either factory-authentic or modern and minimalist. For me, a 'faux loft' of trendy design elements and conventional ceiling heights is a loft fail. Which is better - the hard or soft loft? That really depends on what you like and what you value the most when seeking your dream home. They are two similar, but different, residence styles that ultimately offer homeowners the opportunity to live in sleek, urban style. Are you evaluating your options in your house hunt, and could use some guidance in matching property type to your needs? As a pioneer in the hard loft movement in Toronto, I can offer unparalleled advice in this particular search. My team and I are here to help!